The original: The classic AB1 alarm clock by Braun is a style icon. The original design by Dietrich Lubs from 1971 and the updated edition of 1987 found numerous imitators. The travelling alarm clock AB1 follows the Bauhaus ideas with their functional and simple approach. 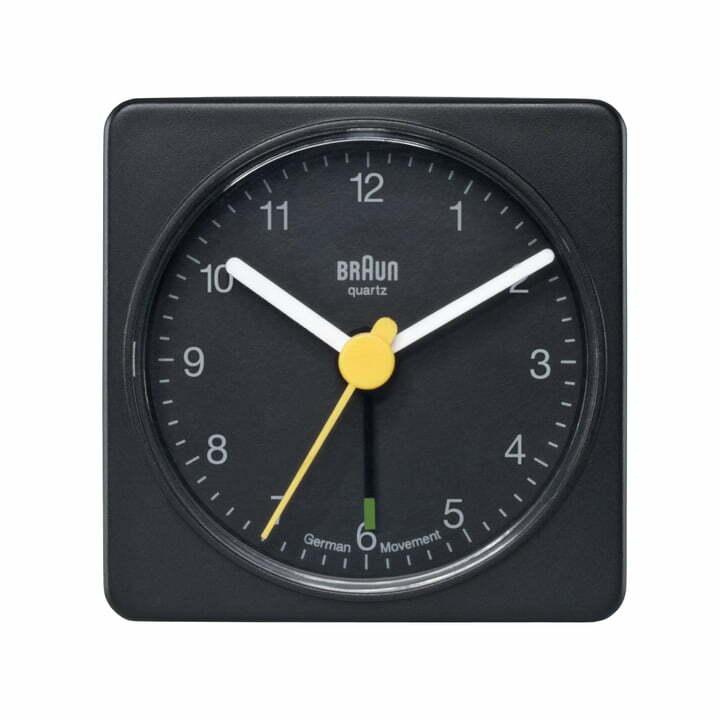 Braun became a synonym of the realisation of the Bauhaus ideas since the 1950s. The readability of the dial is flawless. The alarm clock is extremely compact and thus perfectly suitable for travelling or a small night table. The Braun AB1 has a crescendo alarm that increases in volume – reliably ensuring that you wake up. Besides its appearance, also the technical side keeps its promise: The travelling alarm clock has a large and therefore easy to use alarm switch. The precise quartz clockwork runs quietly and reliably.